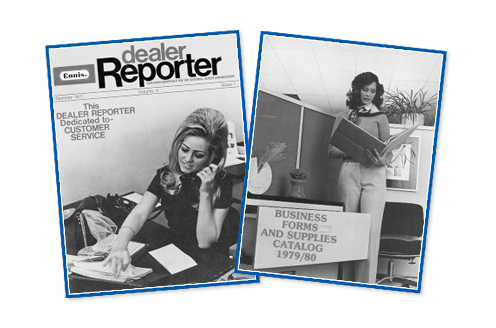 Over the past century, Ennis, Inc. has grown from a single newspaper press to the largest wholesale printing manufacturer in the nation. Select an era below to navigate to that section on the timeline and learn more about our unique history. Ennis, Inc. was founded in Ennis, TX in 1909 after a large fire burned down the local newspaper facility. Garner Dunkerley, Sr. of Ennis, TX purchased the list of subscribers and equipment for $1,000 and formed Ennis Printing & Publishing. The new company issued 180 shares of stock at $50 per share and sold them to 23 Ennis residents. This gave the company a capitalization of $9,000. 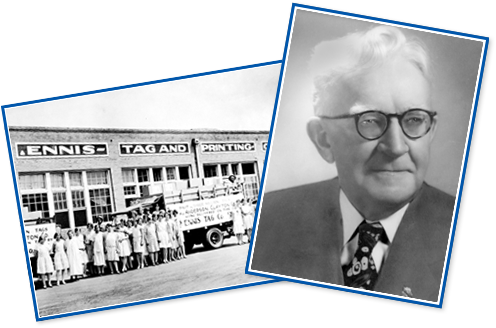 Ennis Printing & Publishing sold advertising and job printing while also buying and re-selling cotton tags as a dealer to the warehouses and gins in the Ennis area. Eventually, Mr. Dunkerly started buying and overprinting blank tags, leading to the purchase of the first Ennis tag press. Cotton tags, gin receipts, and supplies were the primary products produced by the company until 1936. The company decided to sell the newspaper business so it could concentrate on the development of its growing tag and book business. It was then that the company’s name was changed to Ennis Tag & Salesbook Co. In 1938, the company started to manufacture carbon paper under a new division, American Carbon Paper Manufacturing Co. (AMCO). The company expanded to the Southeastern market after opening a warehouse in Birmingham, AL. During World War II, the company manufactured a variety of diverse products including school supplies, index cards, paper bags, file folders and legal pads. Sales topped $1,000,000 and continued to grow. The Chatham, VA facility was established. Ennis began producing snap-a-parts, register forms and continuous forms. 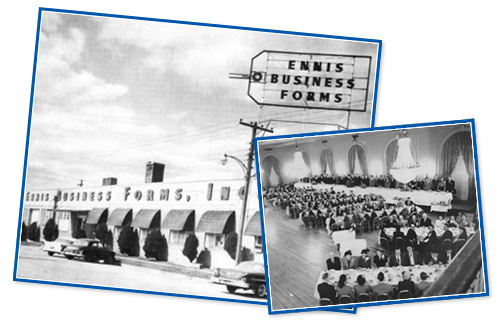 Garner Dunkerly, Jr. was elected President and the company’s name was changed to Ennis Business Forms, Inc.
Ennis celebrated 50 years in business. The Paso Robles, CA facility was established. The Dewitt, IA facility was established. Len Gehgrig was elected President and an acquisition program began. The first acquisition was ABC Business Forms in Miami, FL. 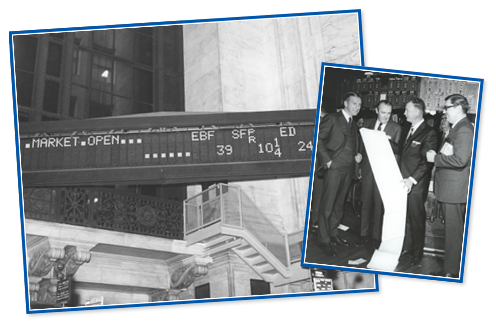 This plant produced pegboard forms and was sold after about five years to Transkrit Corp.
Ennis began trading on the New York Stock Exchange (EBF). Throughout the 1970s, Ennis expanded to Knoxville, TN, Ft. Scott, KS and Wolfe City, TX. The acquisition of the Wolfe City plant made Ennis the largest producer of cotton tags in the world. Ennis expanded its manufacturing facilities to Moultrie, GA and Coschocton, OH for production of snap-a-parts. A small continuous imprint plant was opened in Dallas, TX. This plant was moved to Ennis, TX in 1988 and is now the Ennis Imprint Facility. Bob Mitchell was elected President and sales topped $100 million. Label manufacturing operations were established at the Wolfe City plant. Charles Ray was elected President. Admore in Macomb, MI, which specializes in presentation products, was acquired. The company acquired two award ribbon companies, which were merged and moved to the Ennis, TX plant, now operating under the name Star Award Ribbon Company. Advertising specialties and Post-it® Note product lines were moved to the Wolfe City plant and now operate under the brand name Advertising Concepts. Keith Walters was elected President. 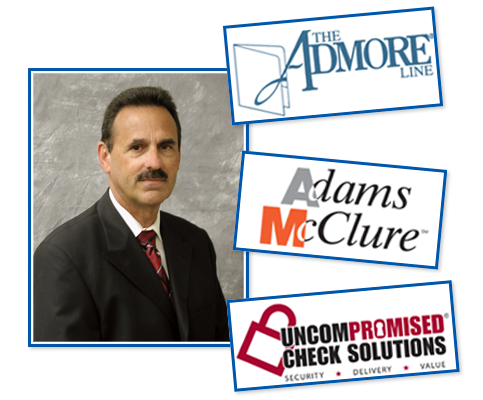 Ennis acquired Adams McClure, which specializes in point-of-purchase and commercial printing. A major acquisition period began with the procurement of Northstar and General Financial Supply. These companies expanded Ennis’ financial forms and negotiable documents line and led to the development of the software compatible form and check line, Uncompromised Check Solutions®. Ennis acquired Calibrated Forms. Calibrated is an industry leader in the manufacturing of custom forms and envelopes. Ennis acquired Alstyle Apparel & Activewear, a California-based apparel manufacturer. The acquisition of Alstyle doubled the size of the company to more than $500 million in revenue. Ennis acquired Royal Business Forms in Arlington, TX, Specialized Business Forms in Caledonia, NY and Block Graphics located in Sun City, CA and Portland, OR. These acquisitions expanded the company’s custom and specialty forms and envelope product lines. Ennis acquired Trade Envelopes in Tullahoma, TN, B&D Litho of AZ in Phoenix and Ennis of Colorado in Denver (previously Skyline Business Forms). Ennis celebrated its 100 year anniversary. 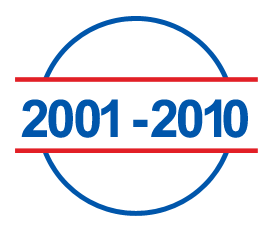 Atlas Tag & Label in Neenah, WI joined the Ennis network, becoming the 12th Ennis acquisition in under a decade. In October 2011, Ennis acquired Printgraphics, located in Nevada, IA and Vandalia, OH. Printgraphics is a leading wholesale manufacturer of fully integrated document solutions. Ennis launched an eCommerce solution called EOS touchpoint, giving distributors the ability to sell products through online storefronts. This technology gives Ennis and distributors a competitive edge in the marketplace. Ennis acquired PrintXcel and Printegra. The PrintXcel facilities are located in Visalia, CA, Toledo, OH, Clarksville, TN, and Fairhope, AL. The Printegra facilities are located in Livermore, CA, Arlington, TX, Smyrna, GA, Indianapolis, IN, and Fairport, NY, with a sales office in Jaffrey, NH. These acquisitions increased annual revenue by approximately $80 million. In October 2013, Ennis acquired Folder Express in Omaha, NE, Wisco Envelope in Tullahoma, TN, and National Imprint Corporation (NIC) in Claysburg, PA. These acquisitions added over $60 million in annual revenue and extended the Ennis footprint to 23 states and 57 facilities across North America. During the first half of the year Ennis announced the acquisition of the 5 companies that previously made up Sovereign Business Forms. 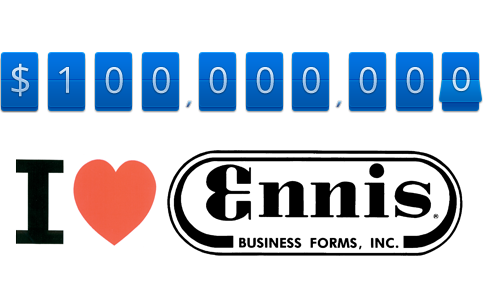 The 5 companies added under the Ennis umbrella included Curtis Business Forms, Falcon Business Forms, Forms Manufactures (FMI), Mutual Graphics, and Tri-C Business Forms. Hoosier Data Forms located in Indianapolis, IN was acquired in early October. At the end of the year Ennis finalized the acquisition of Kay Toledo Tag and Special Service Partners (SSP), securing Ennis’ spot as one of the leaders in cotton tag manufacturing in the US. Ennis moved Folder Express manufacturing from Omaha, NE, to a company-owned building in Columbus, KS, in the fall of 2015. During March of 2016, Major Business Systems in Hillsborough, NC, was acquired, bringing the total number of acquisitions in the last five years to 15. 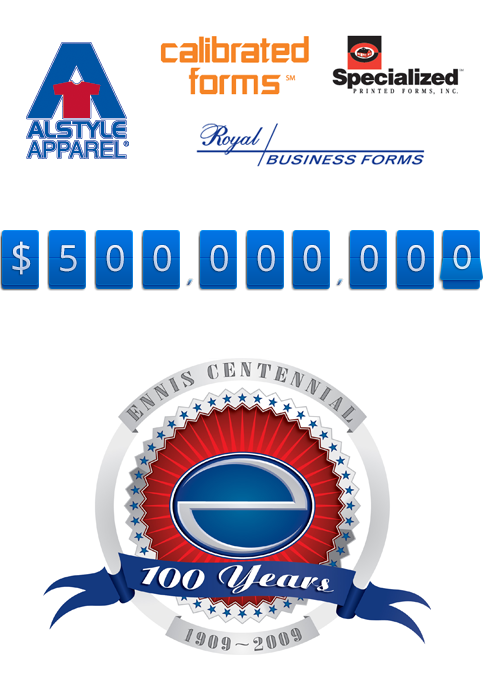 In April of 2016, the sale of the Alstyle Apparel division allowed Ennis to focus on its core business segment of print. At the end of August 2016, Ennis acquired the assets of Atlas Tag of Canada. The customers are now serviced by Atlas Tag & Label in Neenah, WI. On January 27, 2017 the acquisition of Independent Printing Company, Inc. was completed. This included the 4 locations in Wisconsin with the main facility located in DePere, Wisconsin. The business produces presentation folders, checks, wide-format and commercial printing. With this acquisition, Ennis now has four folder facilities in Michigan, Kansas, California and Wisconsin, as well as wide-format capabilities in Colorado and Wisconsin.